Thank you so much Lori for featuring Australian Challenge in Mixed Media Art. I thank you very much Luther Fine Art for accepting my artwork in the ABC Group. Thank you Fred for featuring Australian Challenge in your group. Thanks Fred. I'mean glad to be featured in We Paint Every Day. I thank you Jim for the feature of Australian Challenge in your group. Thanks for featuring Australian Challenge in your group Christina. Thank you so much Sergio for the feature in your great group. 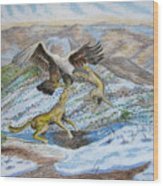 Thank you greatly John for featuring Australian Challenge in your group. Thanks Lenore . I appreciate being featured in Old Masters. Thanks Chuck for featuring Australian Challenge in AAA. Thank you so much Pamela for your kind words of inspiration. 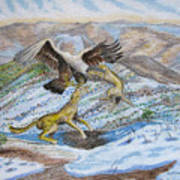 Chuck, I thank you much for the feature of Australian Challenge in your group AAA Images. 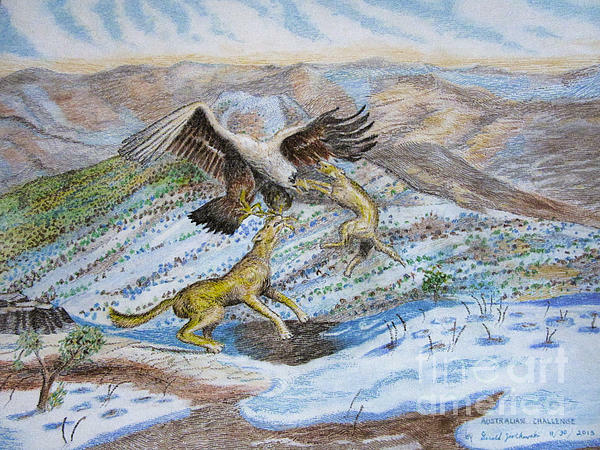 In the setting of Mount Buller in the Australian Alps, two warrigals or dingos defend their turf against a wedge tailed eagle with an imposing nine foot wingspan. So begins just one of many Australian challenges. I live in the Western New York Region. I studied Fine Arts at the University of Buffalo. I enjoy painting and drawing. Even as a young child in grade school I had an interest in developing my artistic abilities. In August of 1974 some of my artwork was displayed at the Arcade Library in New York. 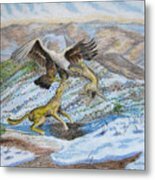 Some of which were published in a poetry book entitled "Hour of the Light", a book of poems written by Paul Buczek. I am pleased to be a part of FAA and enjoy the opportunity to contribute my artworks to the greater art community at FAA.